My sewing room to be! Secondly, wow I’ve been away for a while! Ha, I promise regular service will be resumed shortly! For the last 6 weeks or so, everything has been house related, and there has been no time or space (both literally and in my head!) for sewing and sewing-related thoughts. 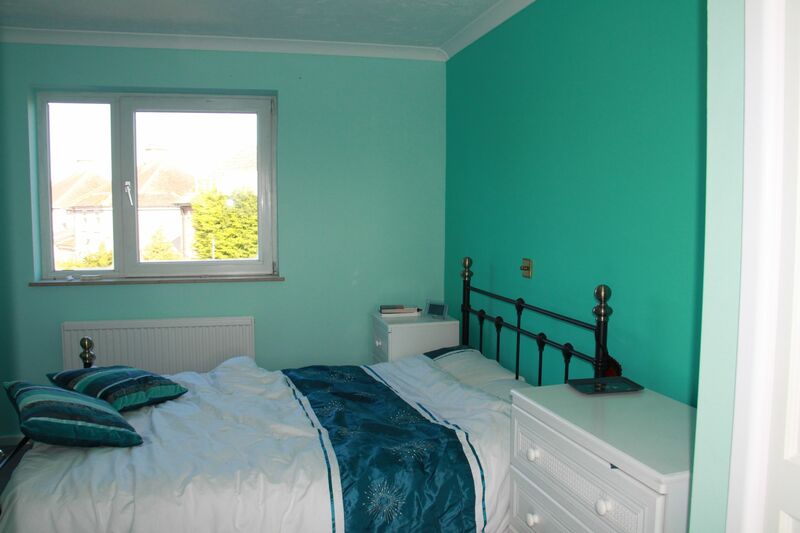 But since my last post, I have bought, (part) decorated and moved into my very own house! So it’s been worth the having-no-time-for-sewing, especially as I will soon have a sewing room! Yippee! 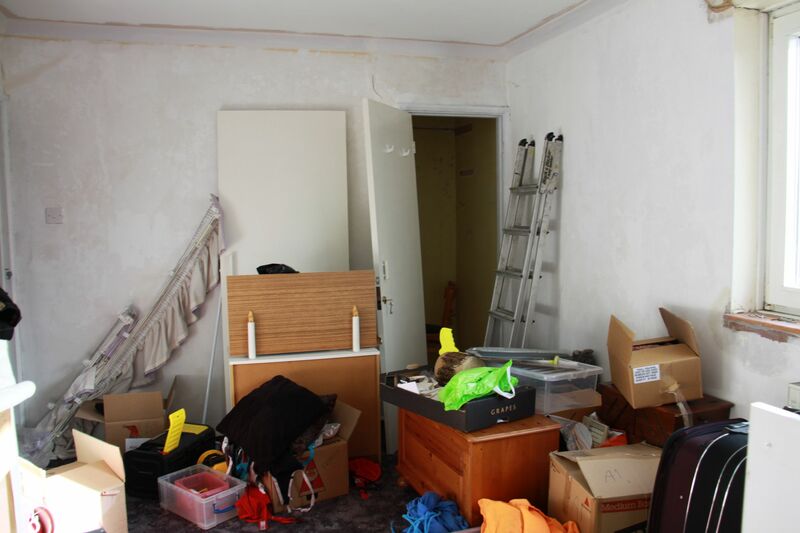 Currently my sewing room is undecorated, and full of boxes (although not as full with boxes as it was), so it might be a little while until I can actually get to some proper sewing again, but man will it be good when I can! 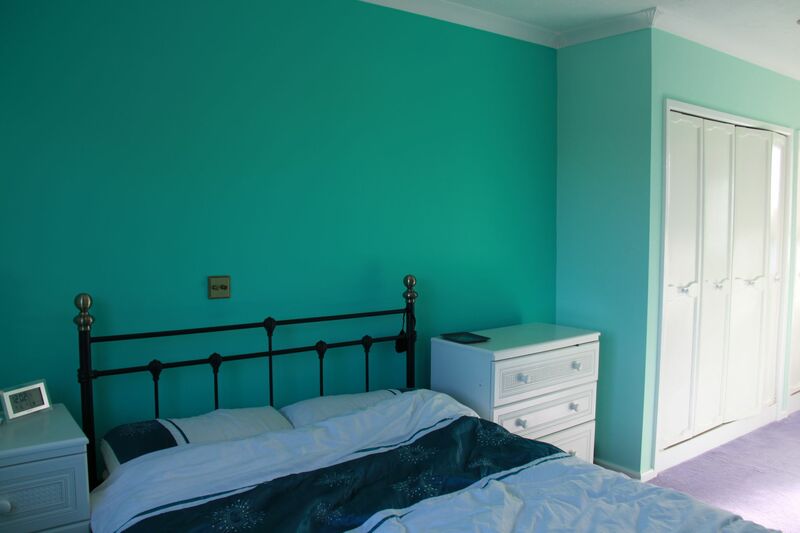 We managed to get the bedroom and Marcus’ study decorated before we moved in (ish! ), which were the critical things. And when I say we, I largely mean my parents, who were absolutely amazing, and gave up three (long) weekends to come and help us out/do most of the actual decorating. We also had some awesome friends who came to help us with some of the prep work for the decorating, and more awesome friends who helped us move, and we couldn’t have done it without all of them. 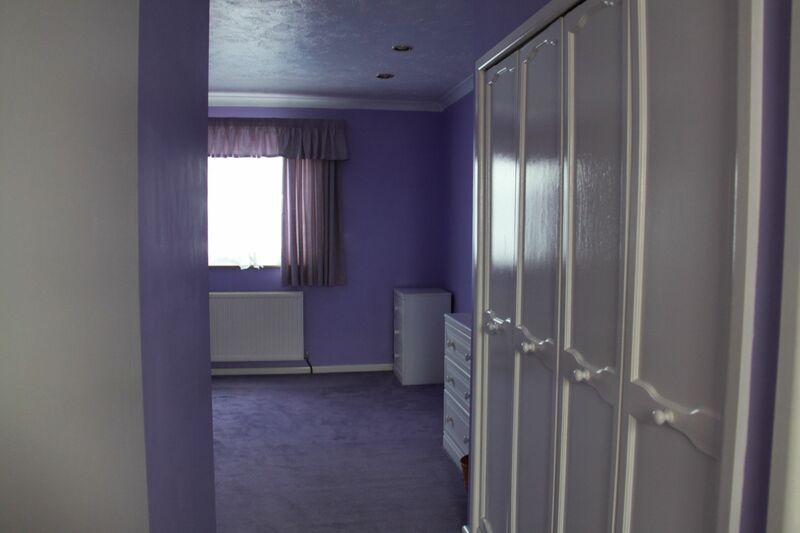 The sewing room is a slightly bigger job to do – it has this horrible carpet, which not only do I not like, but it’s also really thick pile, which would make it a nightmare for all those loose threads that end up on the floor. I’m undecided at the moment as to what to do with the floor – I’d love to just leave it as the boards underneath, but I’m not sure what state they’re in. It also might lack a bit of cosyness without something down. I might see how it goes, and then perhaps put laminate floor or carpet down at some point in the future. The walls also need quite a bit of filling, and we’re going to line them before painting. The sewing room as it was before. 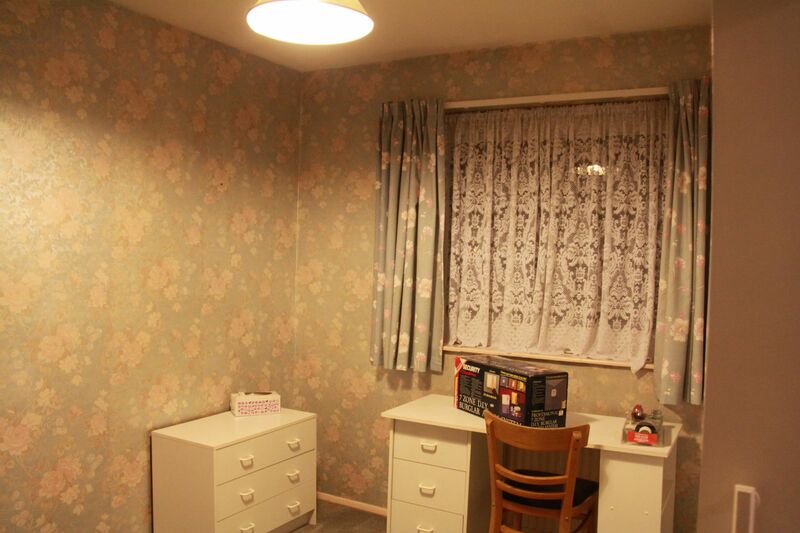 Seriously, that wallpaper is migraine inducing! But that does give me some time to think about what I want to do with the room. I essentially have a big space (it’s like 11′ x 8′ or something), to build up into my sewing space however I like. It’s also (ostensibly) going to be our guest room, but that will basically mean I’m going to put a futon in there :) The thing I am looking forward to most is having enough work space that I can have my sewing machine, overlocker and cutting mat all out at once, and not having to constantly swap them around, which eats up half my sewing time. I was planning on having separate tables for sewing machine, overlocker etc, but then Marcus suggested having one long desk, that we could build to go round two of the walls! Ooh, I like that idea! I’m probably still going to have a separate cutting table, hopefully on castors, so that I can pull it out and move all the way around it. I haven’t yet figured out the best solutions for fabric storage, although expedit units are a strong contender. I’d love any suggestions you might have on that, or anything else I could do with the space. I’ll be sure to post some pics of my sewing room once it’s done, in the meantime, I will be lurking pictures of everyone else’s for inspiration! 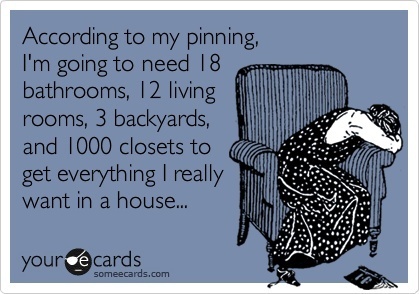 If you have pics of your sewing space, please share the link below and I’ll come and have a nosy! Just sneaking in before 2013 is over, I thought I’d jump on the (increasingly full!) bandwagon with some of my top fives from this year, as started by Gillian of Crafting a Rainbow, as well as a bit of a general round up. In total, I think I have made 11 garments this year (I’m sure it was 12 when I counted a few weeks ago, but I can’t for the life of me remember what the 12th one is! Ah, I finally remembered it – 12 this year!) 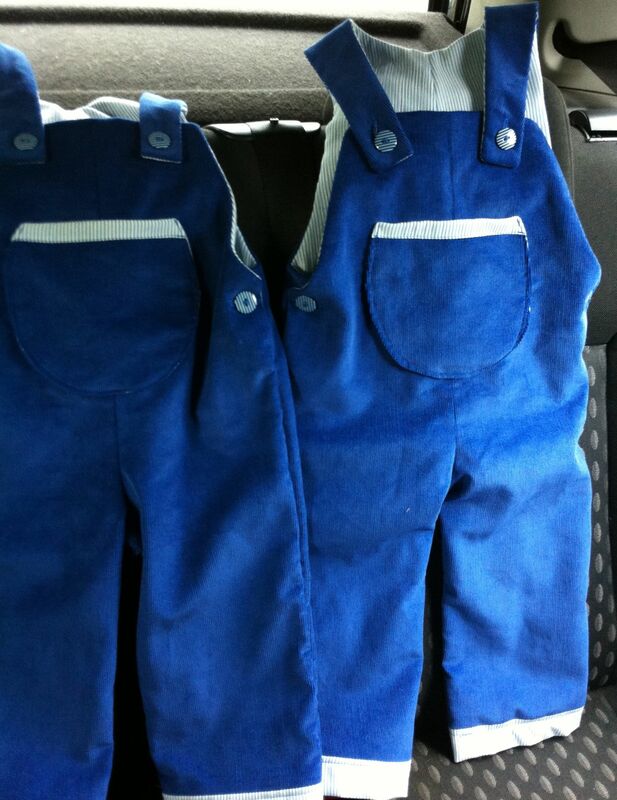 – 10 for myself, and the two pairs of baby dungarees I made. When I worked this out, I was quite pleased – given that I didn’t start sewing clothes until my dressmaking course in April/May, and that I’ve constantly felt like I don’t have enough time to get anything done, I’m quite pleased with that output. Of course I then look at my list of items that I want to sew, and there are about 26 on that (and that’s only counting the ones which I have both the pattern and fabric for already! ), and I think I’d better pick up my pace a bit! I love this swimsuit! 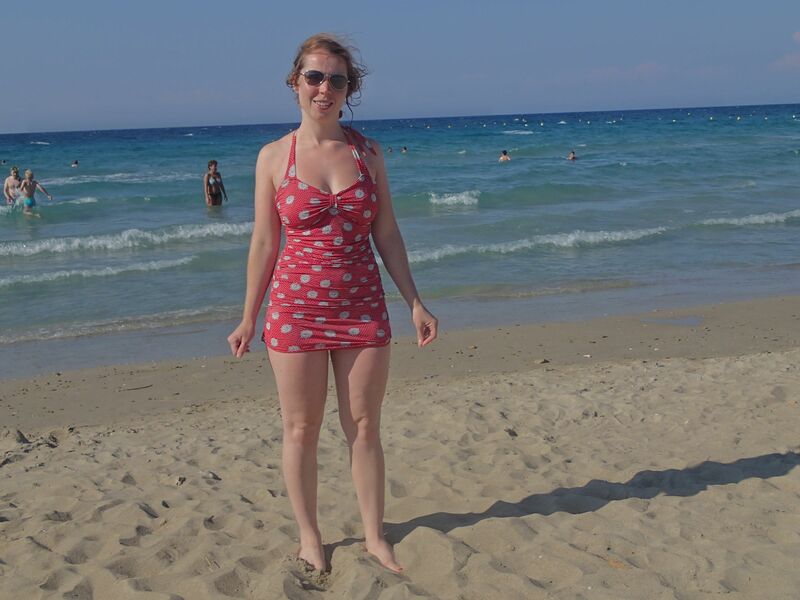 It was only the second ever item of clothing I made, and should have been so out of my league, that I can’t help but feel incredibly chuffed that I actually made a swimsuit! In fact, I think the fact that it was something so tricky and that I was probably insane for even trying it made it easier somehow (crazy I know, but bear with me!) – there was no real fear of failure, because I completely expected to not be able to do it, so every time something went right, it was a huge bonus. I had never sewn with knits before (I’d barely sewn with anything! 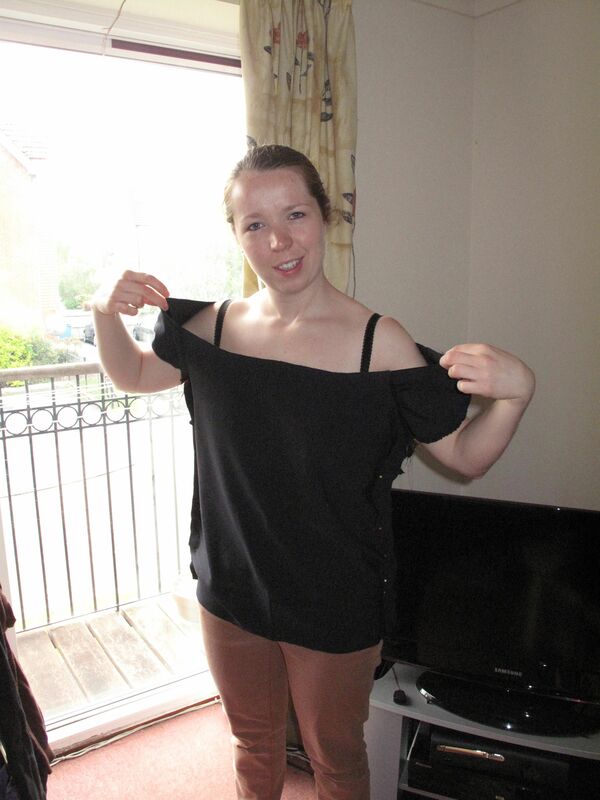 ), had just bought an overlocker that I really had no idea how to use, and didn’t really have a clue what I was doing. But that meant that, if it didn’t work out, it wasn’t really my fault, it was just that I wasn’t ready to do something co complicated yet, and that made it so much easier. Seriously, I have only sewn with knits once since this, and it took me a long time to get around to that – I seem to be developing fears of things now that I have started knowing how to do them! Must get over that! These are the only items of clothing I’ve ever sewn for anyone else, and I love them! The only thing I am disappointed about with these is that the photos don’t do them justice! Hopefully the babies they were made for should be fitting into them soon, I can’t wait to see them on! What can I say, I love this pattern. I t has nothing to do with the name I swear! 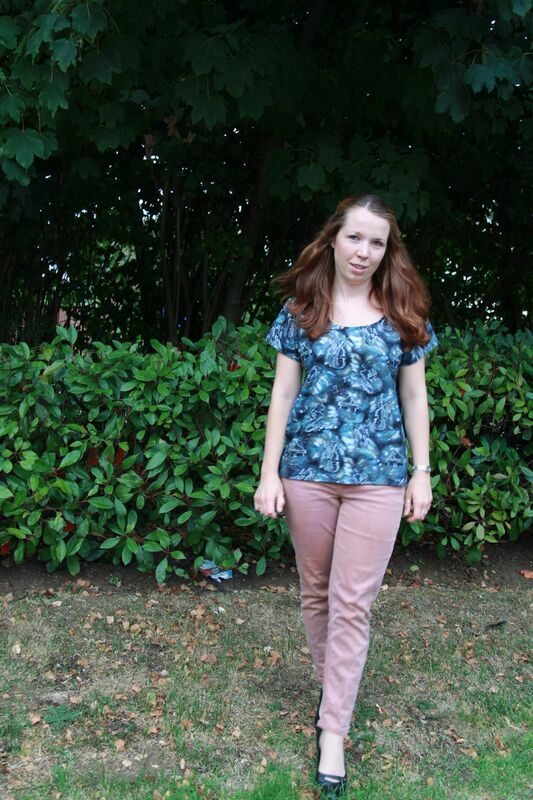 It’s such a simple pattern, so quick and easy to make (other than those damn buttonholes! ), but has such a great end result. These are my two most worn makes by a long way, which surprises me, as when I started sewing, I was all about the dresses. Much as I love wearing dresses, these skirts just seem to be so practical. I kind of forgot about this one when I was thinking about this list, because it’s been a while since I’ve worn it, given the weather! But I did get a lot of wear out of it in the summer, and it was such a quick and easy make! 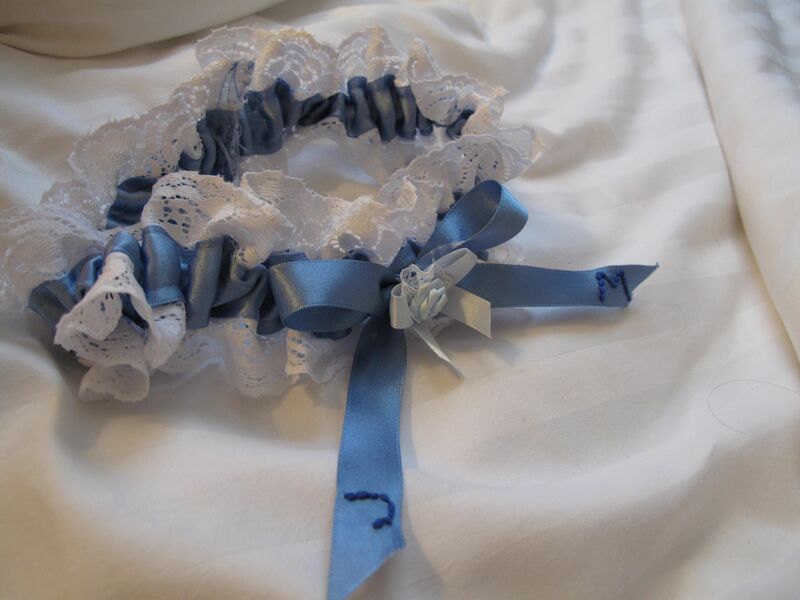 This was a garter that I made for a friend who was getting married in the summer. Given that I haven’t made that many things for other people, I’ve surprised myself by putting two of them in my top five! This one made it here for a number of reasons – 1. It was a success and the bride really liked it; 2. I actually managed to get something finished by the deadline I had, despite not having much time to do it (this is a big thing, I need to manage that more often!) and 3. It has been a massive success for this blog – it is my most popular post by a longggg way, and is the only post that reliably gets hits every single day. Evidently lots of people want to make wedding garters, who knew! 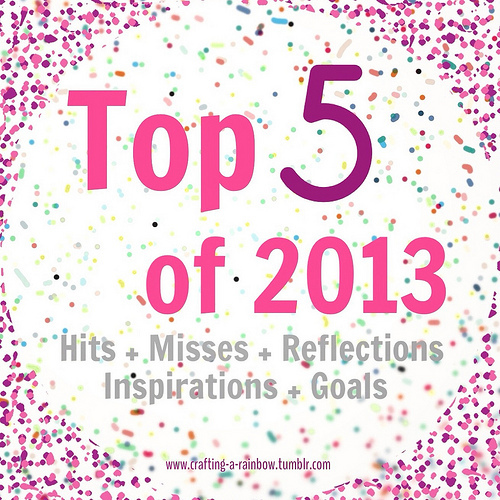 Moving on from the hits, there have been a few misses this year as well, so let’s have a quick look at those. The fit of this is just not quite right – looser clothes aren’t my typical style, but I thought I’d give it a go. However, I could really have done with cutting a smaller size, and maybe doing an FBA and adding some darts. As yet, this has not been worn and is sitting in my pile of things that need something doing to them. This is not a complete miss, it is just not quite finished. 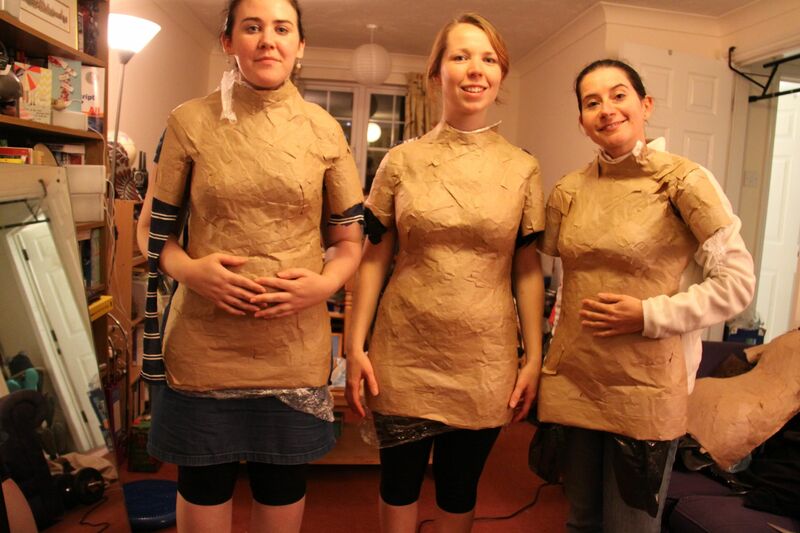 My plan was to use the shell we created as a mould, to line with felt and more paper tape to make a dress form that should actually be my size. I did do this, and I now have 4 halves of dress forms that have been sitting round our living room for the last few months! I just haven’t got round to sticking the two halves together and finishing it off. To be honest, I’m not entirely sure that it’s going to work as I wanted, which I think is why I’m putting it off – if I don’t finish it, then it can’t be completely classed as a fail! I have also lost weight since we made them, and so I have a feeling that it’s not even going to be the right size for me any more! As soon as Abby from Blue Ginger Doll released the Stella blouse pattern, I decided I wanted it. When she released it as a PDF, I bought it almost immediately. I spent a weekend trying to make it, but it hasn’t worked out for me so far. I had a few issues getting the PDF to line up, but that’s not uncommon. I was using this pattern to have a go at my first FBA, after doing my fitting course, but after a weekend of playing around, I haven’t got much to show other than a hacked up pattern piece, and the fabric for a toile that I have not yet managed to get to fit properly. I needed to move the darts down, quite a lot, and I think I still need to move them further. I will go back and start from scratch with another toile, as I really want to make this pattern work! I ummed and ahhed a bit over whether to include this one here or not. I love this dress. But…it really doesn’t fit that well. I should definitely have made a smaller size and done an FBA, but, it was the first thing I made and I didn’t even have a clue what that was! 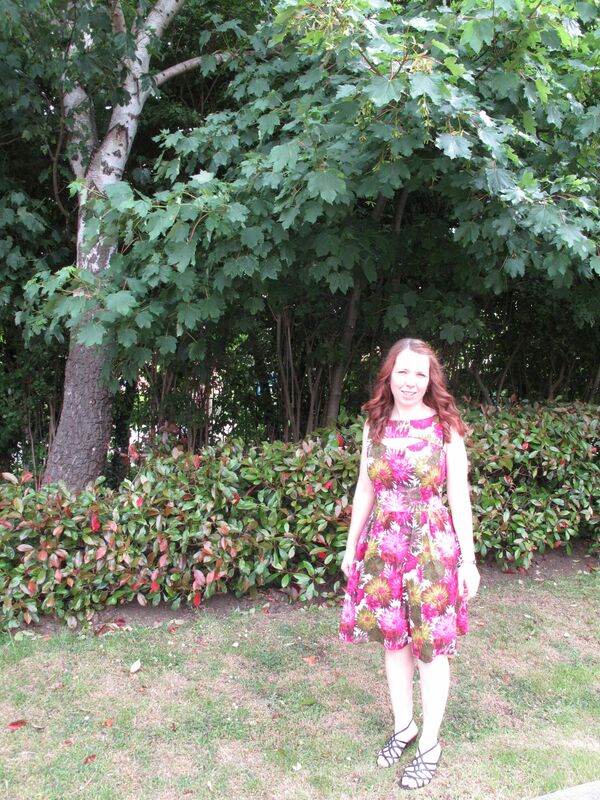 It was a huge success in that I made a dress, it worked, the princess seams worked, and it looks great…when I am standing up straight, with my shoulders back, so the yoke doesn’t gape at the front. There’s a lot of excess around the waist – it’s not necessarily that noticeable, but I know it’s there and it bothers me when I’m wearing it. Probably even more so now that I’ve lost weight. I would like to take it in so that I am happy with it again, and can hopefully wear it some more in the summer. That’s the other thing – it’s a gorgeous dress, but I had limited opportunities to wear it. Less a miss, more a learning experience (which is what your first project should be surely!). So those are my misses – a couple of complete disasters, and a couple that, with a bit more work, would probably have made it into the hits category instead. I have to admit, I am a little surprised that I didn’t end up putting more dresses in my top hits – really, I am all about making the dresses, and I do actually wear a lot of dresses as well. 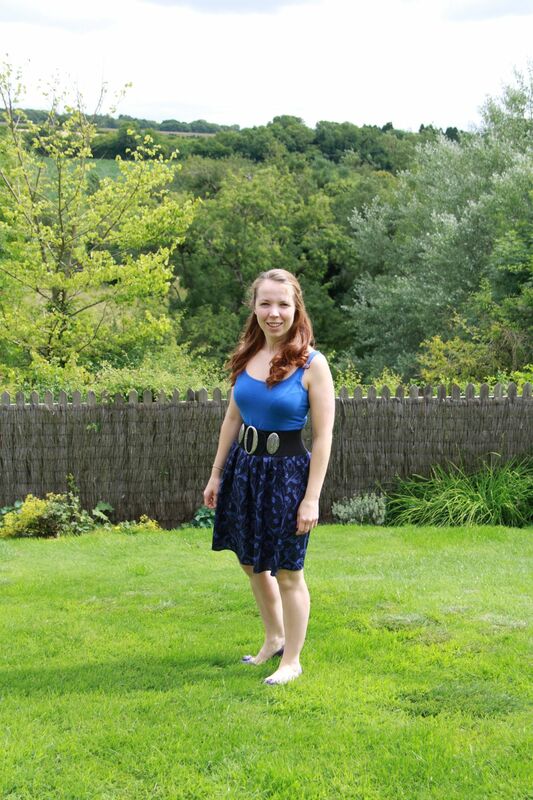 I think the main issue is with the fit – I haven’t yet conquered the FBA successfully, and I think that will be the key to making dresses and tops that I am happy with. And this brings me nicely onto my goals, which are largely based on some reflections from the past year. 1. 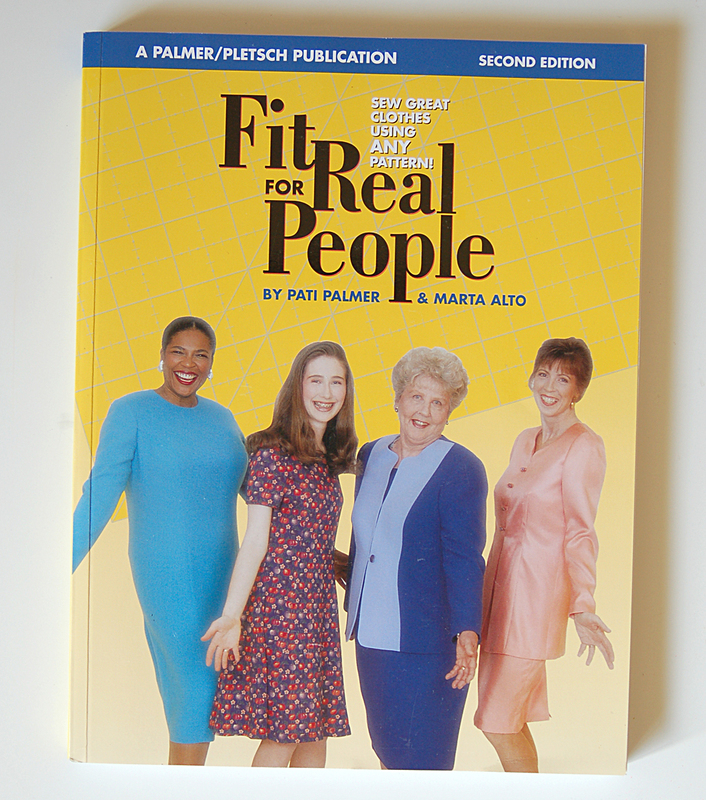 Conquer fit! I have made some nice items of clothing this year, but the ones I haven’t been so happy with are the ones where the fit isn’t so great, and I really could have some with some alterations. Conversely, my most worn items are skirts which required no fitting. Recently, when I haven’t had much time to sew, I’ve shied away from picking projects that I knew would require some fitting, as I wanted a quick win. I just need to get a couple of successful fits under my belt and I think that I’ll then feel more confident in choosing projects that require some work. 2. Attend some blogger meet ups. I really wanted to attend the meet up in London in August, but was at a friend’s wedding. I’m going to make sure that I make it to some meet ups this year, as the sewists I have met have all been such good fun! Plus, I need someone to keep me in check when fabric shopping! 3. Actually finish my projects. I have developed a bit of a bad habit – I’ll spend a day making a dress and do everything other than the hem and the zip. Or a skirt will be completely finished other than the buttonholes. It will then sit around for weeks, or even months, waiting for those last little fiddly (and boring!) bits to be finished. In the meantime, it is playing on my mind that I need to do it, and I miss out on wearing the item. It’s silly and I just need to get on and finish projects when I make them! 4. Make the most of my sewing time. I spend so much time getting worked up at how little time I have to get any sewing done, and of course I could be spending that time sewing instead! I also often have so many projects that I want to make, that I don’t even know where to start, and just end up floundering, and getting nothing done. I’m going to make much more of an effort in 2014 to make the most of every little bit of time I have to sew. This should be hugely helped once we have moved into the new house, as I’ll have a sewing room! I can’t wait! At the moment, my sewing takes place on our dining table, and essentially takes up half our living room. I don’t have enough space to have my sewing machine, overlocker and cutting mat out at once, so I’m constantly having to move things around, and having to get everything out, and tidy up at the end of every sewing session means that, if I only have half an hour, it’s not even worth starting. I’m hoping that, once I have a sewing room and can leave everything out, being able to sew in those odd 20 minutes, and have everything I need out at once, will make me a lot more productive. That’s the theory anyway! Time will tell whether it works, I’m determined to try and make better use of my time. My sewing machine will probably have to be packed away soon ready for the move, and I’m not going to have much time to sew for a while, as I’ll be spending much of my time decorating and getting the house straight, but it’s going to be so worth it in the end! I’m really excited about 2014, there are so many great things to look forward to, and I hope you all are too! What are your goals for the upcoming year? I had grand plans for last week. I had an entire week off work, and I planned to do nothing except sew. I’d been looking forward to it for weeks and had planned my list of things I was going to sew. How much sewing did I get done? 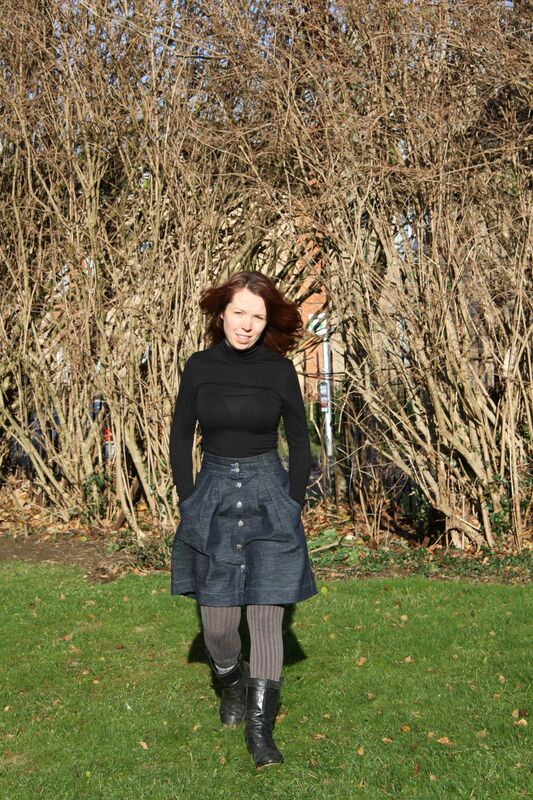 I made another (yes there is already one, no it isn’t blogged about yet) Kelly skirt. Well, almost. It still needs buttons and buttonholes. Man those buttonholes are causing me problems! And…that’s it. Am I disappointed? Not in the slightest! You see, there was a very good reason for my not getting any sewing done last week, a reason that, in the long term, should hopefully allow me to get more sewing done. I ended up househunting! 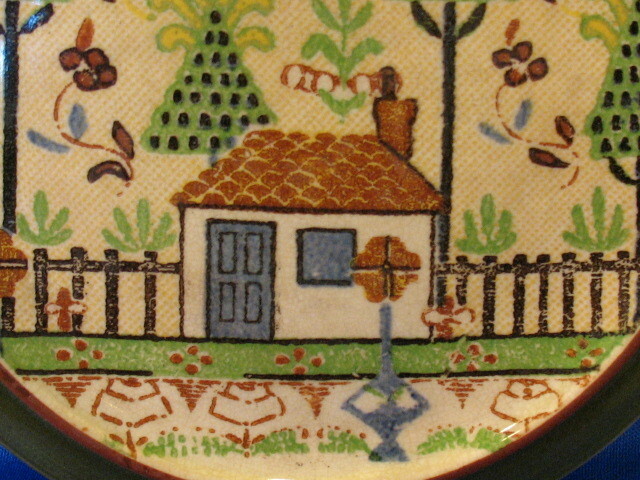 I have wanted to own a house for as long as I can remember. 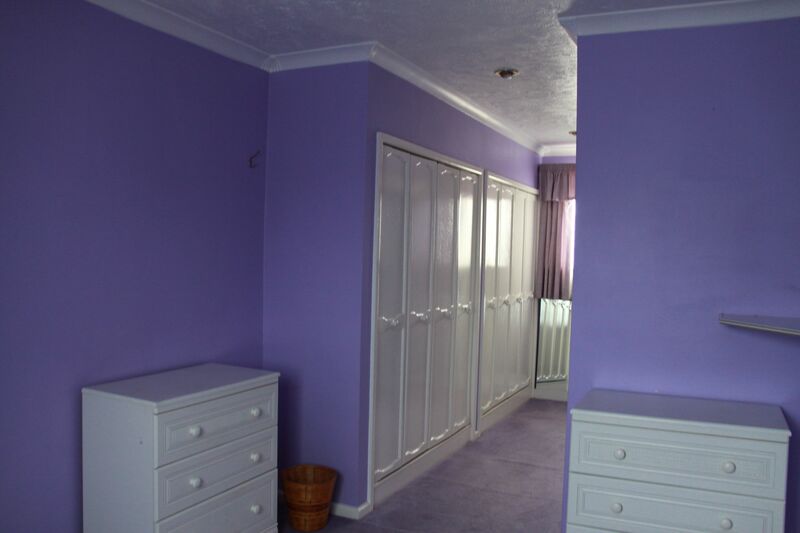 I just want a place that I can make my own, and put pictures up on the wall without landlords getting stroppy. 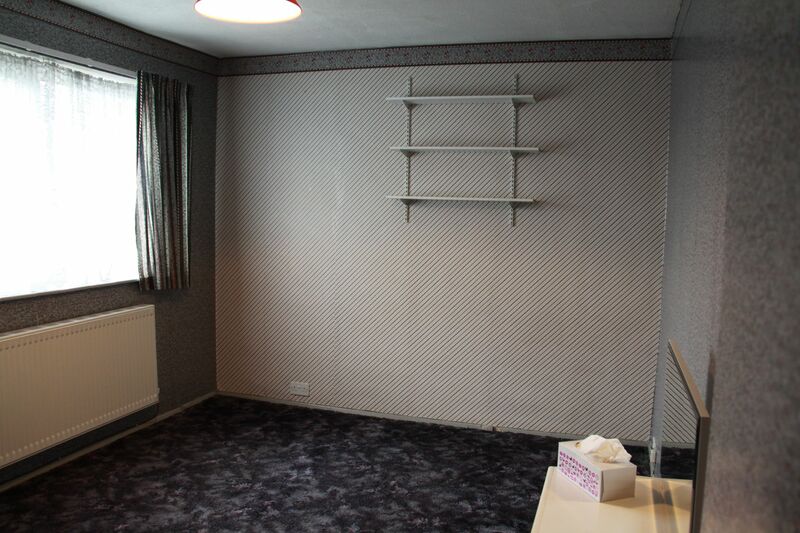 We can put nothing up on the walls of our current flat, nothing. Admittedly that is more because the walls would probably fall down than for any other reason. 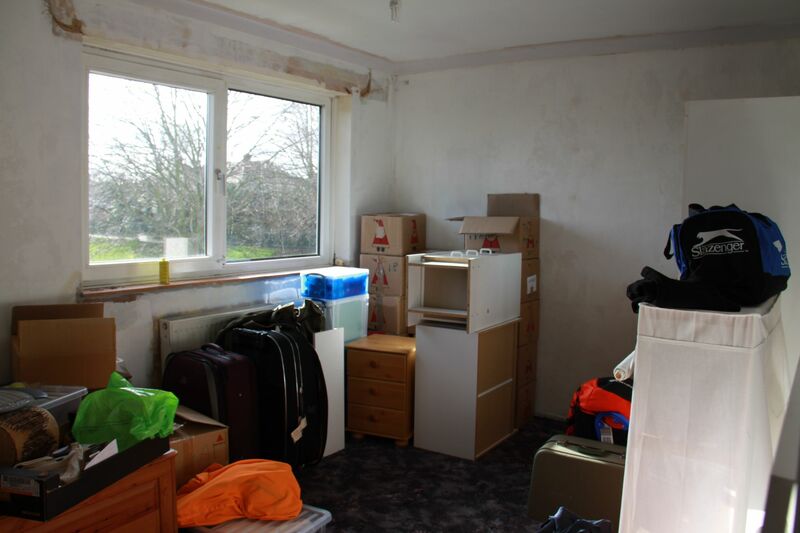 In the last couple of years I have got more serious about wanting to buy a place, but haven’t really be able to actually do anything about it. Oxford is an insanely expensive city to live in, and the only way I can afford it is with a lot of financial help from my parents and grandad. Luckily, they are happy to help me out, which I am incredibly grateful for. The hosuehunting last week was kicked off by speaking to a mortgage adviser, who basically said he’d have no problems getting me a mortgage, and let me know how much I could borrow. House prices are really going up at the moment so my parents and I decided that if I’m going to do this, now really is the time. So in the space of about 4 days I spoke to 3 mortgage brokers, visited 6 estate agents and viewed 21 houses! I was busy! But it was so worth it. Just seeing that many properties allowed me to hone down my ideas of what I wanted, and also give me a basis for comparison for any I saw. On Saturday I dragged Marcus out with me as well, and we saw about 9 houses that day. One of them we saw was lovely, and we both decided that it would suit us perfectly. It was bigger than most we’d seen, and space is definitely a big thing for us. 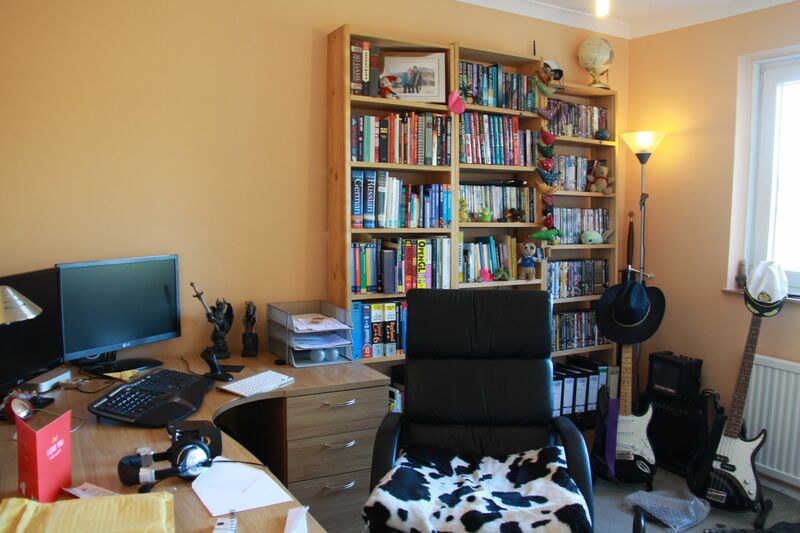 Marcus works from home, so needs an office, I was desperate for a sewing room, and we do a lot of hobbies that seen to come with loads of stuff! Piled up in various places in our living room at the moment are 2 folding bikes, 3 tents, 5 sleeping bags, miscellaneous camping gear, climbing ropes and gear, climbing helmets, skiing helmets, cycling helmets…you get the idea! And that’s before we even get started on my sewing machines, fabric stash and related things! There really is not a lot of space, and we trip over things (literally) on an alarmingly regular basis. 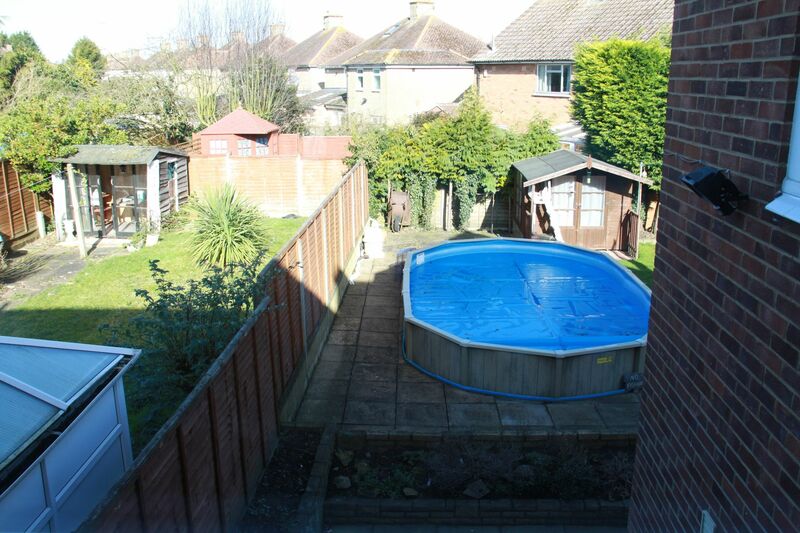 So we liked this house, put an offer in over the weekend, and got a call from the estate agent on Monday to say that the offer had been accepted, and the vendors (who we had a long chat with and are lovely) really wanted to sell us the house! I am trying not to get too excited, this is only the beginning of a long and stressful journey, and there’s a lot that could still go wrong, but it is at least off to a good start. And then not only will we not be tripping over things on a regular basis, but I can actually have a sewing room. 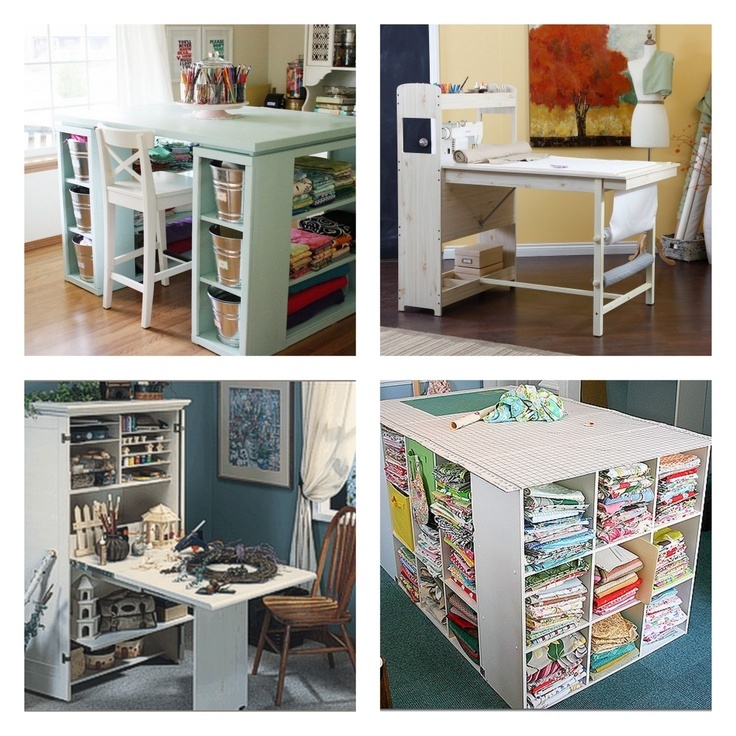 Now to work out how best to use the space – I really want to get myself a decent sized cutting table, and some funky storage solutions – any inspiration/ideas from what you have done with your sewing room, if you are lucky enough to have one, would be much appreciated! Now we just have the agonising wait for everything to go through. And bizarrely, I still don’t really have any impetus to sew – I think I find it difficult to focus on more than one big project at a time, so although I have had a bit of time free this week, my brain has been whirring with house stuff so much that I just haven’t had the concentration to sew. I haven’t even been keeping up with reading sewing blogs, everything has been house-focussed! But I don’t mind, the sewing may have to go by the wayside for a short while, but hopefully once I can concentrate on it again, it will be better than ever!